TORONTO — It appears offensive linemen Zach Wilkinson and Drew Desjarlais have made major strides after last month’s CFL Combine presented by New Era, as revealed by their position in the final CFL Scouting Bureau rankings released Friday. 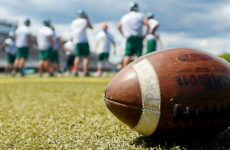 Wilkinson, a product of Northern Colorado, moved 13 spots to become the fourth-ranked prospect, while Windsor’s Desjarlais has gone from unranked to seventh overall. Both players took part in the combine from March 22-24. The top three remain the same, led by Laval defensive lineman Mathieu Betts followed by Oklahoma State O-lineman Shane Richards and Arkansas State receiver Justin McInnis. Other big names dropped substantially though, including Houston offensive lineman Alex Fontana (10) and Laval receiver Alexandre Savard (20). 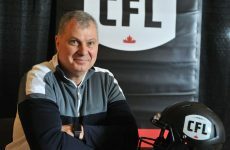 The annual April rankings, which place the top 20 ranked draft-eligible prospects in order as determined by scouts and player personnel directors from the league’s nine teams, mark the last of three editions leading up to the 2019 CFL Draft on May 2. 1 (1) CFC100 Mathieu Betts DL Laval Montreal, Que. 2 (2) CFC100 Shane Richards OL Oklahoma State Calgary, Alta. 6 (4) CFC100 Jonathan Kongbo DL Tennessee Surrey, B.C. 7 (NR) CFC100 Drew Desjarlais OL Windsor Belle River, Ont. 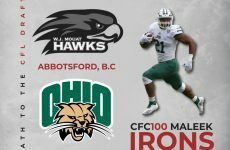 8 (8) CFC100 Maleek Irons RB Ohio Chilliwack, B.C. 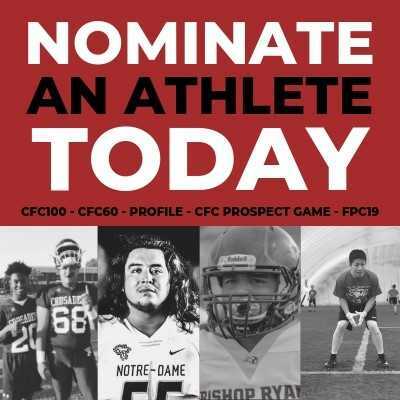 11 (NR) CFC100 Brayden Lenius WR New Mexico North Vancouver, B.C. 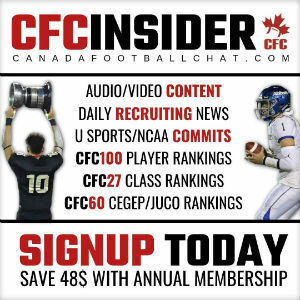 17 (19) CFC100 Michael O’Connor QB UBC Orleans, Ont. 19 (NR) CFC100 Malcom Lee DB UBC Surrey, B.C. Betts continued to hold his ground at the top of the rankings, jumping one spot to gain the first overall position in the winter rankings. In 2018, Betts capped a very successful fourth year with the Laval Rouge et Or by capturing the second Vanier Cup of his career. The Montreal native became the first player in history to claim the J.P. Metras Trophy three times, making him the first to win four major U SPORTS awards during his career. He led U SPORTS with nine sacks on the season and totaled 14 tackles for a loss. Betts also received an invite to play in the East-West Shrine Game in Florida where he registered one tackle for a loss. Richards remained the second-ranked prospect in the final scouting bureau. In his senior year with the Cowboys, he played eight regular season games and capped off his collegiate career by winning the AutoZone Liberty Bowl game against Missouri 38-33 on New Year’s Eve. The 6-foot-8 lineman redshirted in 2017 and appeared in four games in 2016. Prior to college, the Calgary native played for Crescent Heights in Calgary and one season with the New Mexico Military Institute (JUCO). McInnis played in his third season with the Arkansas State Red Wolves last year. The receiver finished second on the team with 56 receptions for 694 yards and six total touchdowns to help lead the team to an 8-4 record and an Arizona Bowl appearance against Nevada. His best game in 2018 came against University of South Alabama where he notched 177 receiving yards and a touchdown on seven receptions. In his three seasons with the Red Wolves, McInnis compiled 115 receptions for 1,577 receiving yards and 10 touchdown receptions. McInnis is a native of Pierrefonds, Que. Wilkinson, a Vancouver native, saw his stock rise following his performance at the CFL Combine presented by New Era last month in Toronto. In the December ranking Wilkinson was ranked 17th and soared 13 spots to secure a top-4 showing. He helped pave the way for the Northern Colorado offense that averaged 366.3 yards per game last season. Montreal native Hergy Mayala jumped a spot to join the top-five. Mayala played in all 12 games during his senior season, leading the Huskies with 40 reception for 361 yards and five touchdowns. In his four years at Connecticut he appeared in 43 games recording 113 receptions for 1,352 yards and 12 touchdowns. 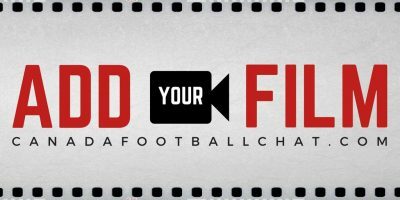 2018 CFL Draft first overall selection Mark Chapman was ranked second on the 2018 Spring Scouting Bureau.